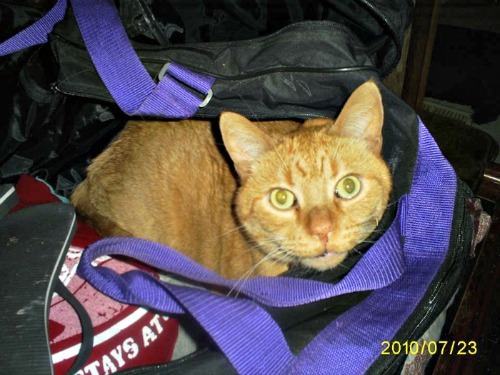 Say hello to the kitties in the second installment of the featured cats for May, 2013. More and more people have expressed an interested in having their cats featured, so I've had to expand. 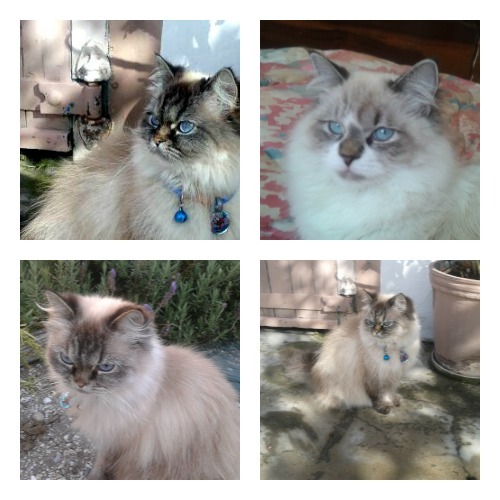 Here is round two, showing some more beautiful and interesting cats that own some of our visitors. What has four legs and is always ready to travel? No, not an elephant. It's Rusty the cat! "Rusty won't let us go anywhere without him!!!" 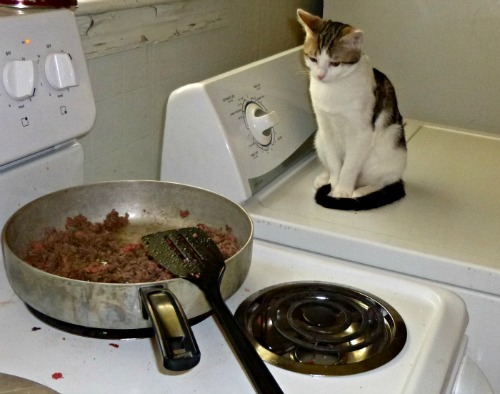 Zoey, waiting for dinner. 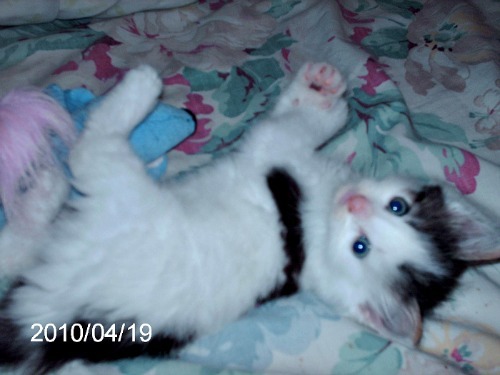 You may remember Eugenia's Zoey as a much younger kitten from the first May round up. 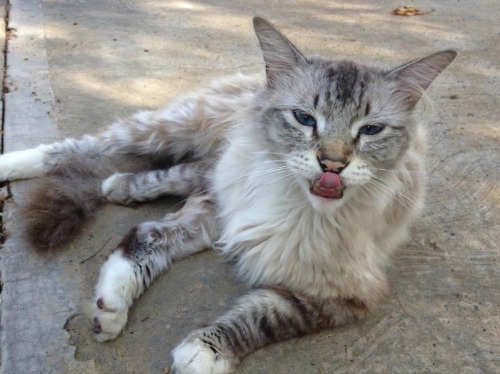 Miriam Rosales shared this picture of her cat, aptly named, Pinky. Pinky may look like a laid back Texas cat, but with that tongue sticking out, I think this picture shows some CATitude. Vijay Kritzinger says that Robin and Radar love to pose and adds... "they are my children" and "my wee lambs who follow me everywhere I go." 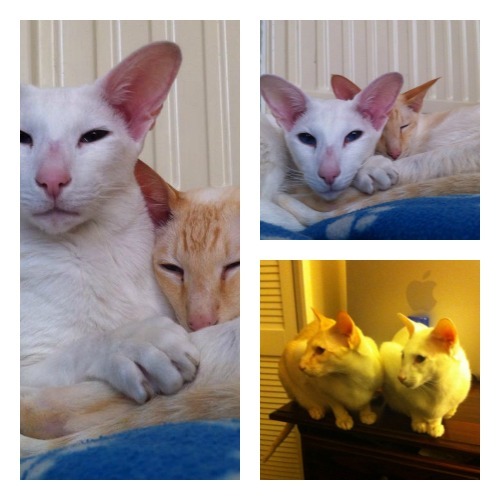 Robin is a White Oriental and Radar is a Red Point Siamese. 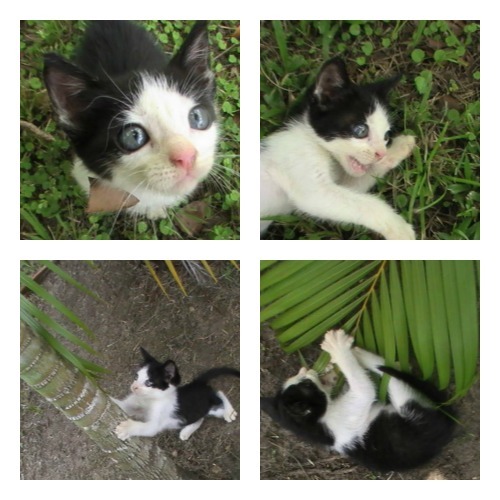 Na Hid says Gorbeye Man was an orphaned kitten and found her while jogging near a lagoon. Shani Nickelson says that Possum is her baby. "He's a Turkish Van and is one of a kind!" Sanette Verster says that Kitty was thin and tiny, but the shelter told her that she was about 2 years old and fixed. Two months later, Kitty gave birth to 5 kittens! She said she "will never ever give them away because they kept me so busy during a very sad time after my dad past away." All of them have been fixed.